Creating outstanding content is challenging. Coming up with new stellar content ideas and material on a daily basis is quite impossible for most bloggers. Think about repurposing your existing content instead. Once you have put so much effort in creating a valuable blog post, you should make the most of it and repurpose your content as best as possible. There are several other media formats you can make use of and you can easily create a multimedia portfolio for your content. Each single media format can then again be cross-promoted on social media to catch as many eyeballs as possible for a single piece of content. Add voice to your post and turn your blog post into a podcast. Add it to your blog post for readers who prefer to listen rather than to read and share it on sites such as iTunes, Google Play Music, Stitcher, PocketCast. Turn long posts into a white paper or ebook as take away for your blog and to share it on Slideshare, Scribd, Issue & Co.
Write a checklist for your post as take away and share them. 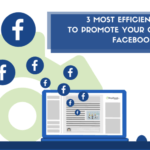 Create an infographic for your post and share them. Use these repurposed content media also to re-share your original post on your social media channel on Twitter, Facebook, Google+, LinkedIn and Co. Try Powerpoint or Google Slides to create a simple presentation of your blog post. You can create an mpg4 or .wmv file to use them as video. Create a screencast with Camtasia if you need more options and editing. When you have created evergreen content, that performed well at the time, don’t let it go stale in your archives. Refresh your content from time-to-time to extend shelf life and re-publish your refreshed content with a current date. Refer to current news or events on your topic. Make sure the screenshots (and other media files) that you used are still relevant and up-to-date. For instance, if the interface of the tools you show in the post looks differently now, it will be confusing for the reader. Check all links within the text and make sure they’re still available. Use Google Analytics and find articles that performed well at the time, but is now slowing down in traffic. Visual content is more likely to get shares, likes, and comments than pure text messages. People remember text information with visual illustration 65% better than pure text information. So, visual content can generate additional reach and bring more traffic from search engines and social media to your website. Illustrate your posts with multiple photos, graphics, infographics or videos. Create multiple photos or screenshots of your products, graphics or videos for your processes or for tutorials, and infographics for facts and stats, or to summarize your post. Always share your social media posts with an image and use a different image to re-share your posts. Launch your new content by sharing your posts with your focus images (titel image) as standard link post. Then use image post formats to reshare your post over the netxt couple of days or weeks. Vary and comments your images and refer to the respective aspect of your content that is visualized in each image. Multiple images and visual media formats provide you with multiple options to reshare your content and thus, extend shell life and reach. Image posts can have a huge influence on the reach and interaction with your posts. Also, image posts on Twitter, Facebook, Google+ are automatically transferred to the image galleries and are thus permanently visible on your social media profiles. Share all your visuals as individual posts with links on Instagram, Pinterest, Flickr & Co.
Take a successful piece of content from your blog and create a series focussing on major aspects. The best types of serial posts are posts that give something an in-depth look, with each post dedicated to a specific aspect of the topic. Pick an evergreen topic, i.e. a how-to-series. Decide on a schedule for your series. Create an outline for each post, dedicating each post to a specific aspect of your topic. If you’re creating a how-to series, you should plan for successive posts that will take the reader through several stages of the tutorial. Tell your readers, when the next issue of your service will be published to make sure your readers will come back for more information. Link back to your original post and interlink all posts of the series to previous and future posts of the series. This allows readers who are just discovering your posts to read through everything you’ve written in the series before going to a different source for more information. This will also help the search engines to follow each link through your blog. Add something like “In case you missed…” and a “Related posts” sections right below the article to put the links to previous and future posts there. If your content is no series material, write a simple follow-up story. A series or a follow-up story will make your regular readers come back as you publish it and also new readers will likely look through at least several of the series. And, more posts on related topics are likely to lead more clicks. Use Google Analytics and find articles that performed and received a lot of engagement and comments. You will probably find comments you can follow-up with a new post, or that you can use to write a how-to-series. Start by sharing your blog post on your social media channels. Social media are very powerful sources to get more outreach for your content and to drive traffic to your blog. However, each social network offers different options for promoting your content. Not only the number of characters allowed differs and image sizes vary. The communities react differently to post formats. Each network is used for different purposes and at different times. In some networks, you can join current discussions by adding popular hashtags. Hashtags also turn your posts into searchable content. Or, you can add @ handles to reach out to specific users. Or, you can add emojis to personalize your posts with emotions. Hashtags work fine for Twitter and Instagram, but they perform less on Facebook and LinkedIn. You may also need to address your LinkedIn business contacts in a different way than your Facebook friends. To effectively cross-promote your blog post, don’t just cross-post the same message on every social network. Tailor the message for your posts to fit each social media platform and audience. Get the Complete Guide to Social Media Sharing: What, When & How to Share to help you set up your cross-promotion plan. Also, share your blog post in relevant groups and communities on Facebook, LinkedIn, and Google+, but share them on different days and times and use different messages tailored to fit each group. Schedule your post multiple times on Twitter, but follow the new Twitter rules and customize each Tweet. You can also share your images on Twitter, Facebook, LinkedIn, and Google+ to re-share your posts with different visual anchors. There are several other social sites with large communities and high authority such as LinkedIn Pulse, Medium, Tumblr, Quora, where you should consider to syndicate or re-publish your content. Exposure to these audiences benefits your visibility and outreach. You can syndicate your content as a complete copy of the content on your site, or only a part of it. Whatever you do for syndication, always make sure to re-publish your content a couple of days after you published the content on your blog. This allows the search engines to index your content first as original content. Syndicate your post as a blog post on Quora. Use the Blog2Social plugin to share and cross-promote your blog posts automatically to your social media channels, directly from the WordPress dashboard. The plugin allows you to auto-post and to customize your posts individually for each network. You can also schedule your posts to be shared at the best times to post on each network. The plugin auto-posts your blog posts to Facebook (profiles, pages), Twitter, Google+ (profiles, pages, groups), LinkedIn (profiles, pages), XING (profiles, pages, groups), Diigo, Reddit, VK, Instagram, Flickr, and Pinterest. You may also re-post old post and pre-schedule your scheduled post for auto-posting. You can also re-publish your blog post to Tumblr, Medium, Torial automatically. The plugin provides a full Rich Text Editor for these networks, so you can optionally edit your title and copy or even change your image if needed. And, most importantly, you can schedule your post to get them re-published on different days and times. 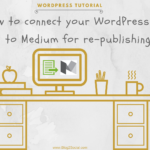 You can use the Medium plugin to automatically re-publish your blog post on Medium. You can use the Tumblr plugin to automatically re-publish your blog post on Tumblr. 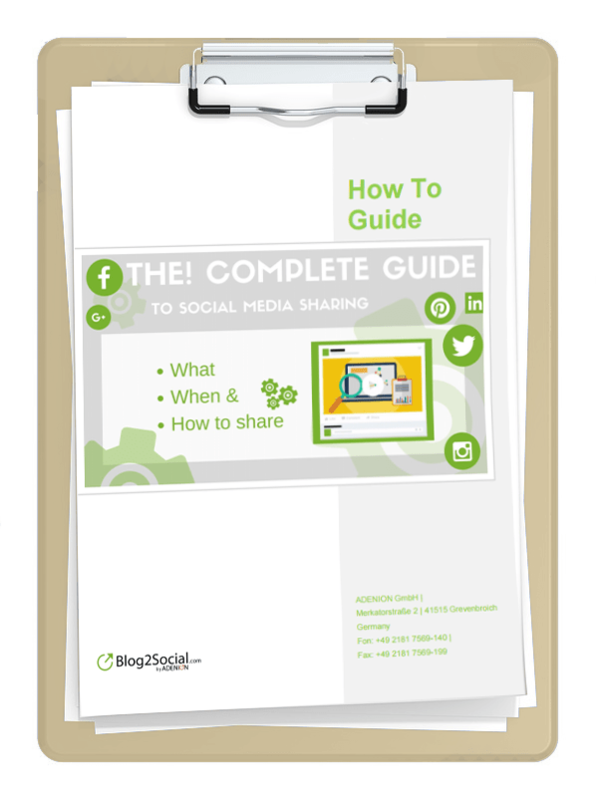 Get the Complete Guide to Social Media Sharing for free: What, When & How to Share to help you set up your cross-promotion plan. Reaching out to influencers and fellow bloggers is most important to build up your network to get more outreach, authority, reputation, and valuable backlinks for your blog post. Start with fellow bloggers you know and invite them to comment on your blog post, ask for their opinion. Comment on other topic related blog’s posts and link to your post to generate valuable backlinks. But do so only if your post really adds value to what is said. Use the Buzzsumo search engine to look for related posts on your topic. Use networks like Kred to find influencers in your niche and topics by keyword search. 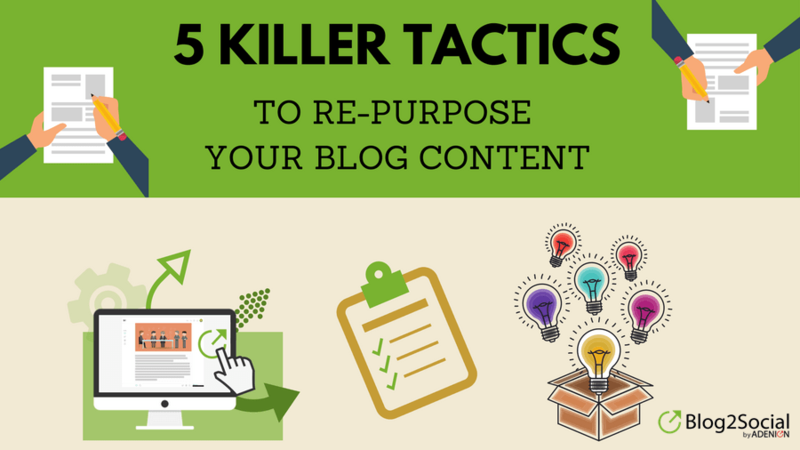 Before you start to create new content for your blog, always think about repurposing your existing content first. Look at your existing blog posts to check, if you can repurpose your content for other media formats, refresh your content or create more visuals. Coming up with new stellar content ideas and material on a daily basis is quite impossible for most bloggers. Think about repurposing your existing content instead. Once you have put so much effort in creating a valuable blog post, you should make the most of it and repurpose your content as best as possible. Thanks for the great tips! I repurpose my content all the time and I always recommend marketers and business owners do it as a way to stay relevant without sacrificing their sanity. Thank you for stopping by and commenting, Alison. Great feedback for our content and nice to hear that you recommend others to repurpose content. I’d love to know what your “repurposing routine” is? Do you already use any tool to optimize your workflow?